One of the world's largest confectionery companies, Nestle, may purchase the Roshen confectionery company owned by Ukrainian President Petro Poroshenko for $1 billion, Bloomberg has reported. However, according to the agency, the bid price is three times lower than the price wanted by the management of the Ukrainian company. 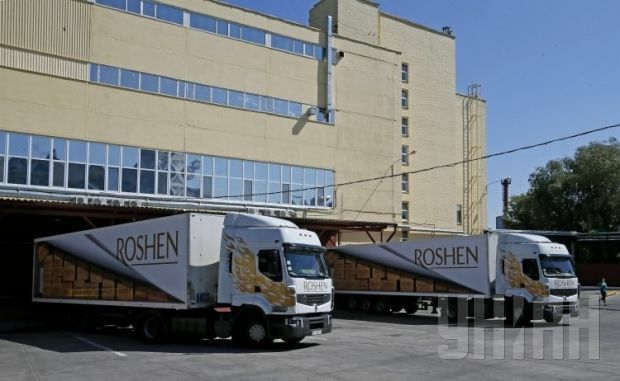 “Roshen has been estimated by its owners to be worth about $3 billion. But the only potential buyer showing interest in the Ukrainian asset is Nestle SA, which is ready to pay no more than $1 billion," Bloomberg noted. Roshen is the highest valued asset owned by President Poroshenko. "He founded the company in 1996 by merging dozens of enterprises specializing in the production of sweets, chocolate, biscuits, and was personally controlling the company. The company became the largest producer of confectionery in Ukraine and a prominent market player in the whole Central European region, with factories in Russia, Lithuania and Hungary," according to Bloomberg. Earlier, President Poroshenko said he was ready to sell his confectionery company, but the deal would take place once investors came to Ukraine. The sale of Roshen is conducted by the investment company Rothschild, and Poroshenko does not now have a hand in the activities of Roshen. Under the current constitution, the president cannot hold another representative mandate, hold office in the bodies of state power or associations of citizens, or engage in other paid or entrepreneurial activity, or be a member of a governing body or supervisory board of a for-profit company. Roshen Corporation is the largest confectionery manufacturer in Ukraine. The total production of confectionery products by the corporation amounts to 450,000 tonnes per annum. The structure consists of Roshen Ukrainian factories (Kyiv, two production sites in Vinnytsa, Kremenchug); two production sites at the Lipetsk confectionery factory (Russia), the Klaipeda confectionery factory (Lithuania), Bonbonetti Choco Kft (Budapest, Hungary), as well as the Bershadmoloko butter-milk plant, which supplies the corporation’s plants with natural milk.